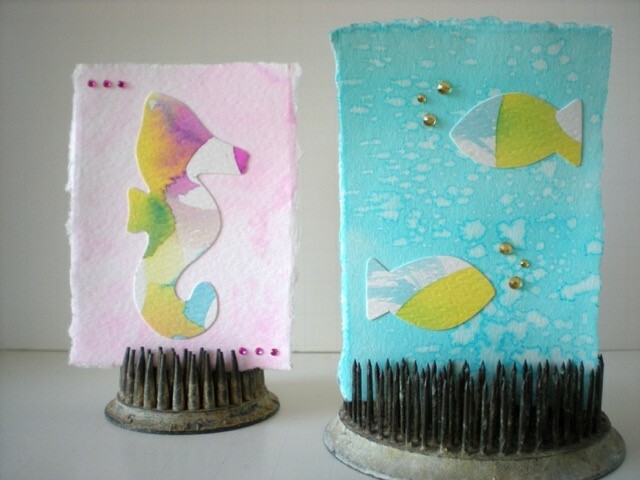 Art campers, join us for mixed media collage and summer fun! Experience the freedom of creative expression “in the mix” as you choose which techniques and mediums you are interested in exploring each day. Local artist and instructor Lisa Handley will provide plenty of inspiration, how to’s, project ideas and materials for your collage enjoyment. Doodles and drawings, hand lettering, stencils, stamps, prints and paints, paper and card stock, upcycled materials and more… what will you mix and match to create your unique collage art?! Students can also select from different prompts such as color, shape, pattern, word or theme as a focus for your media mixing and art making. Project possibilities during camp week will include artwork, artist trading cards, notecards, journals and vision boards you can keep for yourself or give to family and friends. Give your child the opportunity to personalize their own mix of creativity during this art camp!